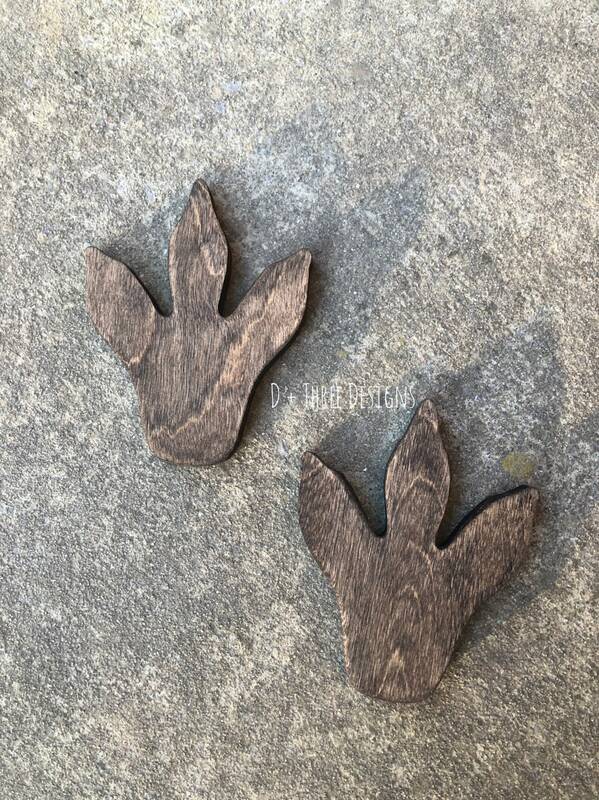 These wooden Dinosaur footprints are cut from 1/2" birch wood. 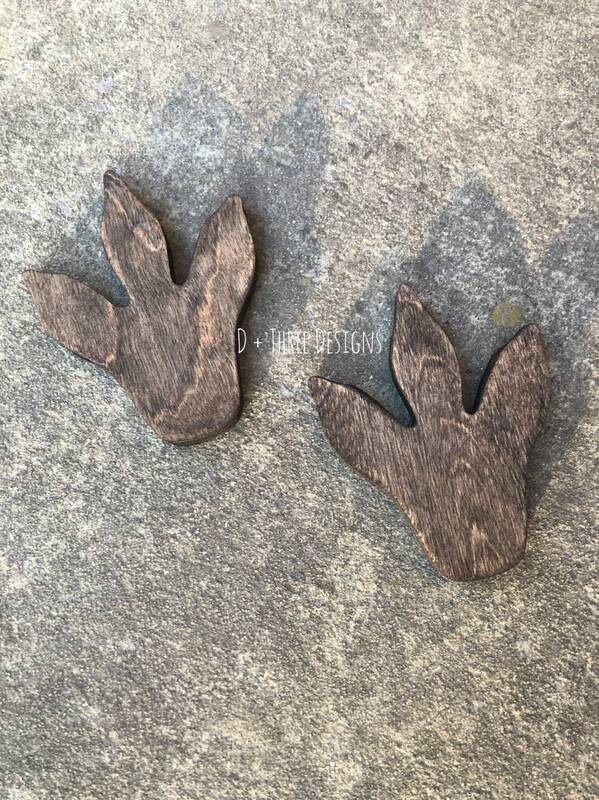 This listing comes for a set of two, but add more dinoaur footprints from the drop down menu. 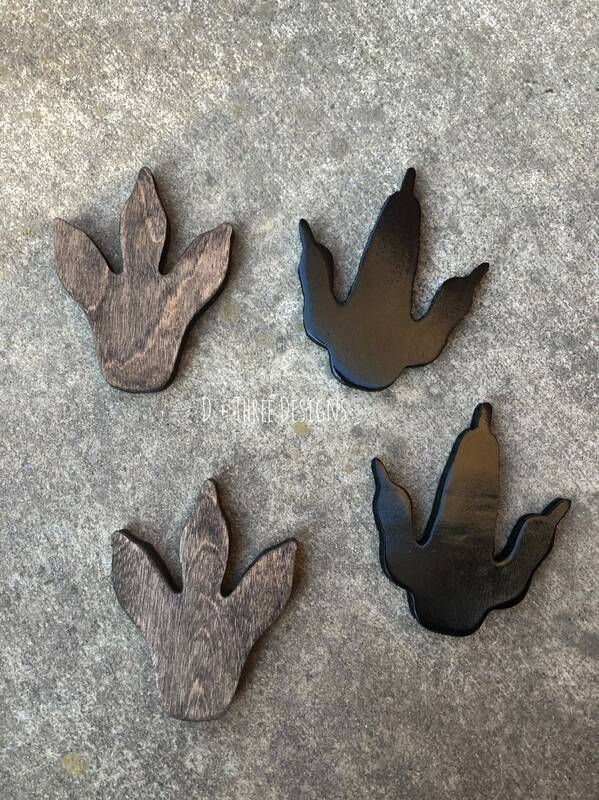 The dinosaur feet will come painted or stained in the color of your choice. 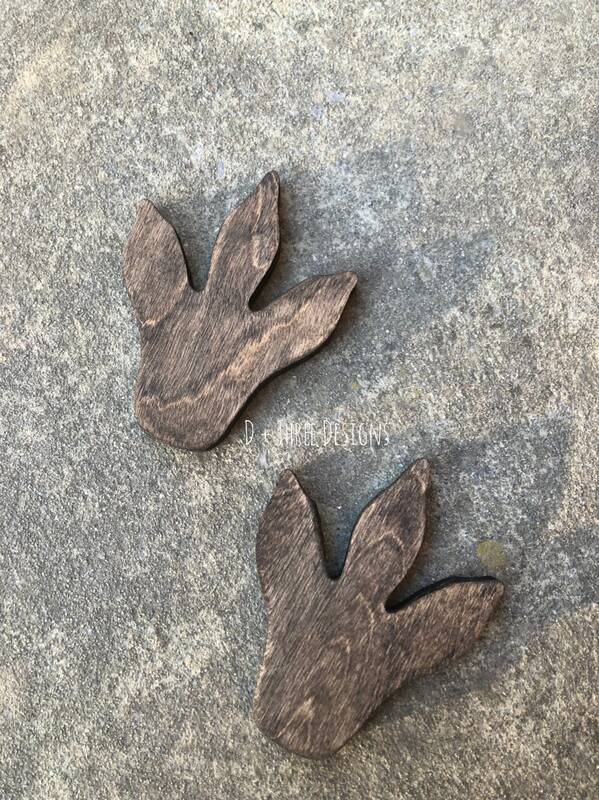 Each footprint measures approximately 6.25" x 4". 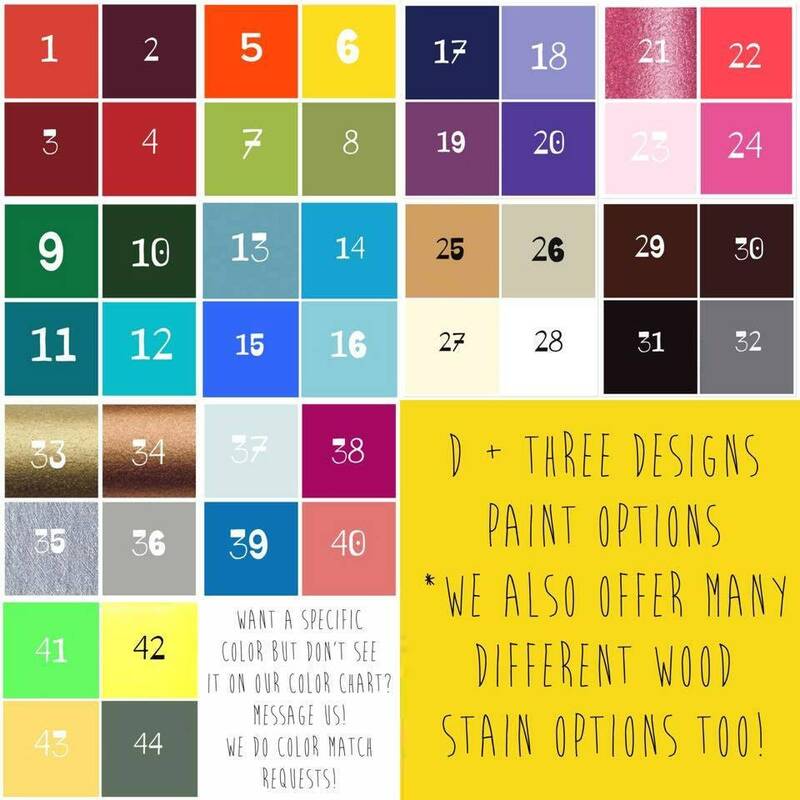 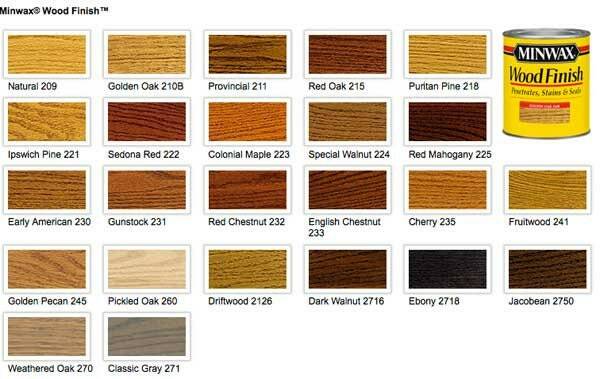 Just put the color you would like in the Notes to Seller box at checkout.